Coupons valid until January 31, 2019. May redeem multiple coupons per person. Coupons can be combined for a longer stay. Check in at 3 PM, Check out at 12 PM. Kids below 5 years old stay free of charge. 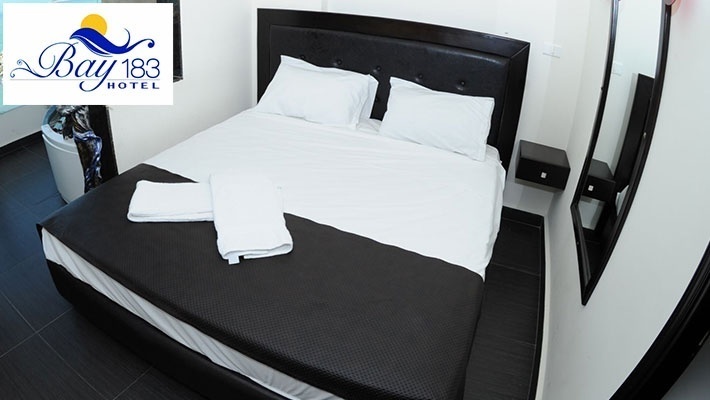 Extra beds available for an extra $30 charge. Excludes public holidays. Reservation required on 09 919 619 or 70 421 555, quote Gosawa coupon. Upon availability. 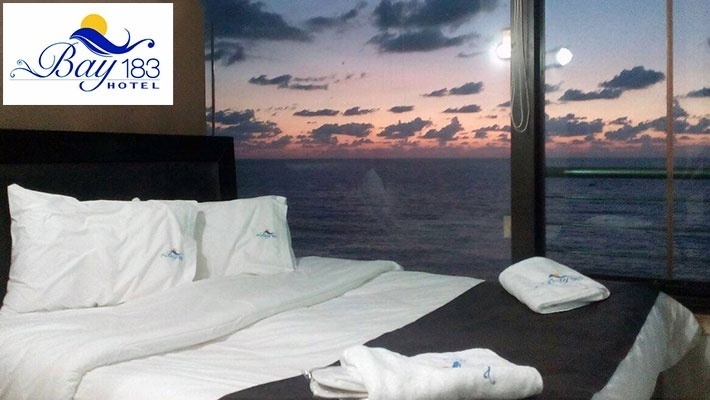 Cancellation policy: reservations must be cancelled 72 hours prior, otherwise coupons are considered as used. ID must be presented upon arrival. No carry over. VAT included in price. Standard terms & conditions apply. Sometimes spending a couple of days away from home are enough to help you relax and revive your relationship with your other half. 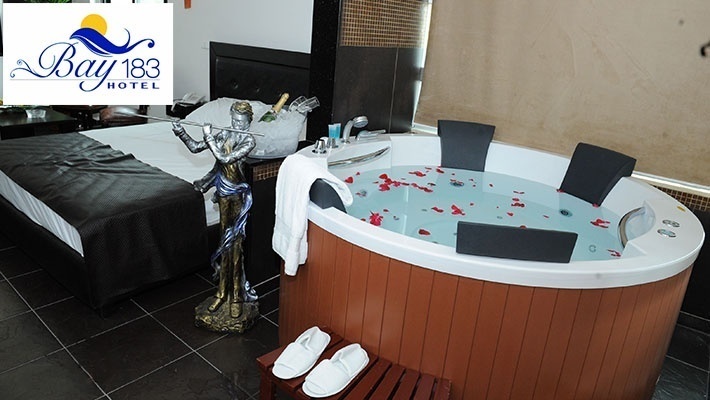 Benefit from a One Night Stay in a Standard Room / Suite with Private Jacuzzi, Wine, Steak & Sushi for Two at Bay 183 Hotel, starting from $37 instead of $75. 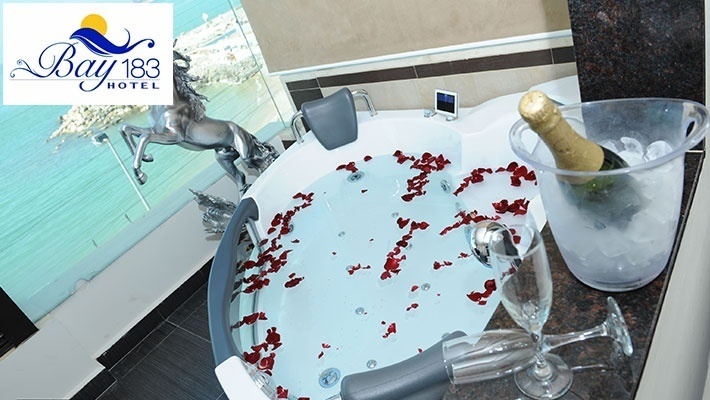 The perfect escape for lovers! 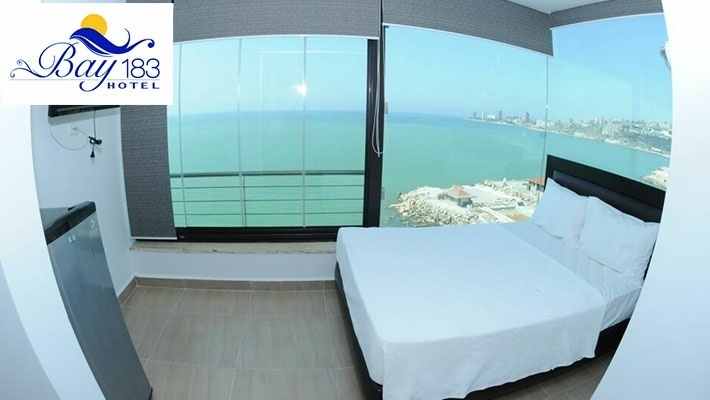 Bay 183 Hotel provides fully furnished, high-end, affordable apartment services ranging from standard apartments to 2 bedroom apartments, suites and more. 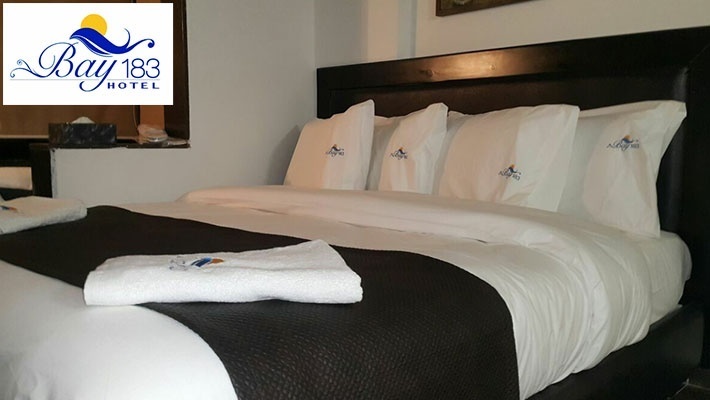 The hotel features standard travel and tourism services, it is your perfect place to call home during your stay in Lebanon. Their goal is to provide you with an unforgettable living experience! 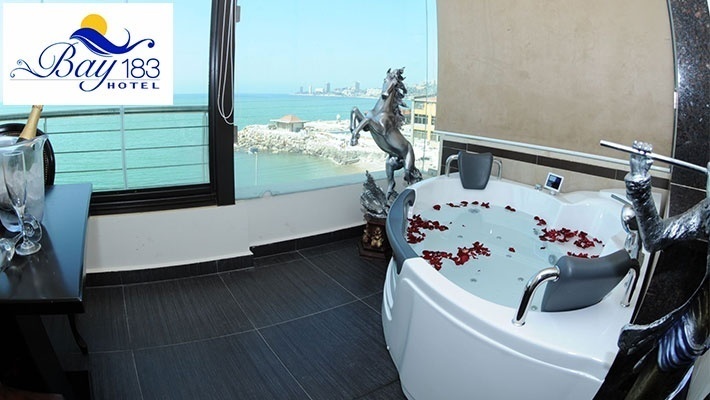 Bay 183 Hotel also features a restaurant serving delicious International dishes in a spectacular setting with an amazing sea view.